Modeling study to determine the most effective alternative for addressing flooding problems in County Line Ditch as part of the Four County Corners project. LAGO assisted in specific tasks and deliverables to achieve the overall objectives of this project. LAGO added newly surveyed cross sections provided into the MIKE 11 cross section file, compared the new cross sections to existing surveyed cross sections, changed the existing representation of the bridges from culvert/weir combinations to the MIKE 11 bridge routine, added other bridges, and modified the cross section Manning’s n values to guarantee overbank roughness is larger than the in-channel roughness. LAGO also fixed model instabilities. LAGO provided support for the model including updating MIKE 11 files, incorporating new inputs to the model and fixing existing instabilities. 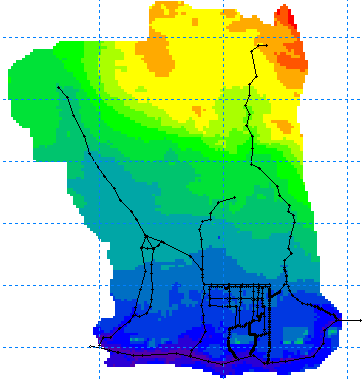 The improved model was suitable for evaluating different flooding evaluation scenarios.